Go feast yourself! : Breakfast for dinner?? So I know Walker Bro. is known as a pancake house/breakfast eatery, but I tell ya breakfast food tastes even better for dinner hehe. 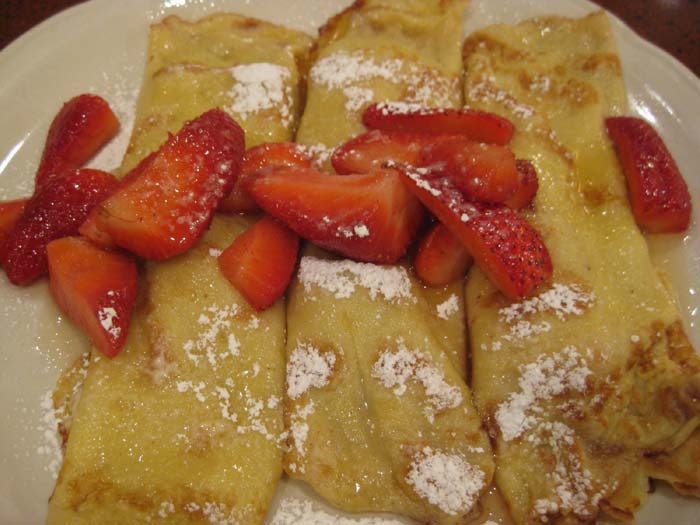 My favorite to order there is the crepe with fresh strawberries topped with tangerine suzette sauce and powdered sugar. I love eating breakfast for dinner! 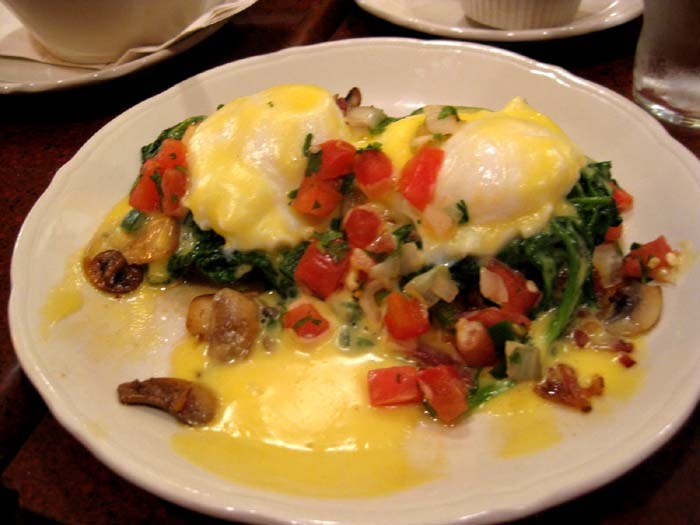 Some of my favorite dinners consist of breakfast food. OHMYGOSH my mouth IS watering right now!!! AHH your photos are beautiful! I could have breakfast anytime of the day!! I love your pics.